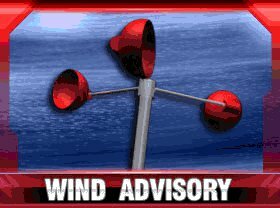 · WINDS - West 15 to 25 mph with gusts 40 to 50 mph. · TIMING - Sunday morning into Sunday evening. · IMPACTS - Strong winds may blow down limbs, trees, and power lines. Scattered power outages are expected.